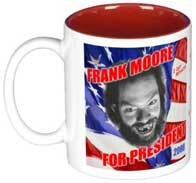 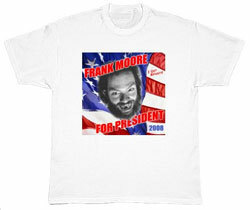 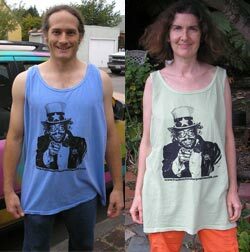 GET YOUR FRANK MOORE FOR PRESIDENT ‘08 MERCHANDISE! 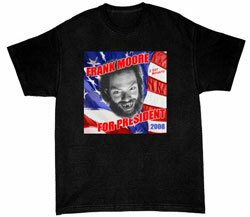 Click on the image of the item you would like to purchase! 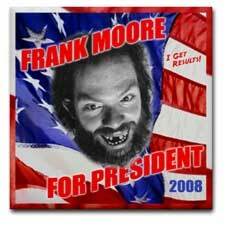 Last modified January 30, 2018. 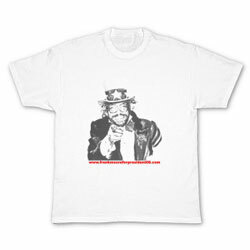 This site is designed and maintained by Michael LaBash Graphic Design.